In this project, we address the problem of measuring the performance of a robotic manipulator mounted on an automated guided vehicle (AGV). 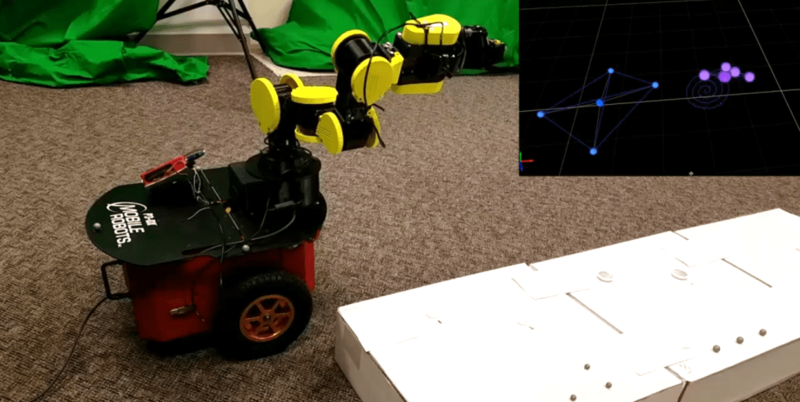 More specifically, we are interested in investigating the scenario in which both the AGV and robot simultaneously move while the robot accesses test points in a known reconfigurable mobile manipulator artifact (RMMA). 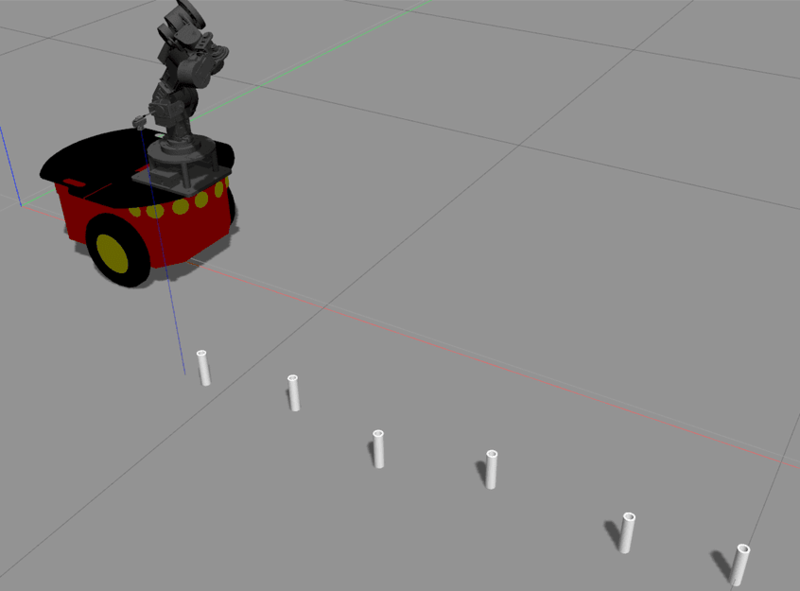 A known artifact with multiple markers is presented to the robot, and while the AGV moves at a certain (possibly varying) direction and with a certain (also possibly varying) speed, which are known up to an error, a 6DOF manipulator mounted to the AGV must align its end effector in all 6DOF with each marker in sequence until the entire artifact has been observed. A laser sensor is mounted at the end effector in order to localize the markers. The alignment must be done as quickly and as accurately as possible considering the uncertainties in the motion of the robot. We evaluate the performance of a stochastic search algorithm against a deterministic spiral search, in finding the markers. The two algorithms are first evaluated in simulation using ROS and Gazebo, and then executed on hardware. 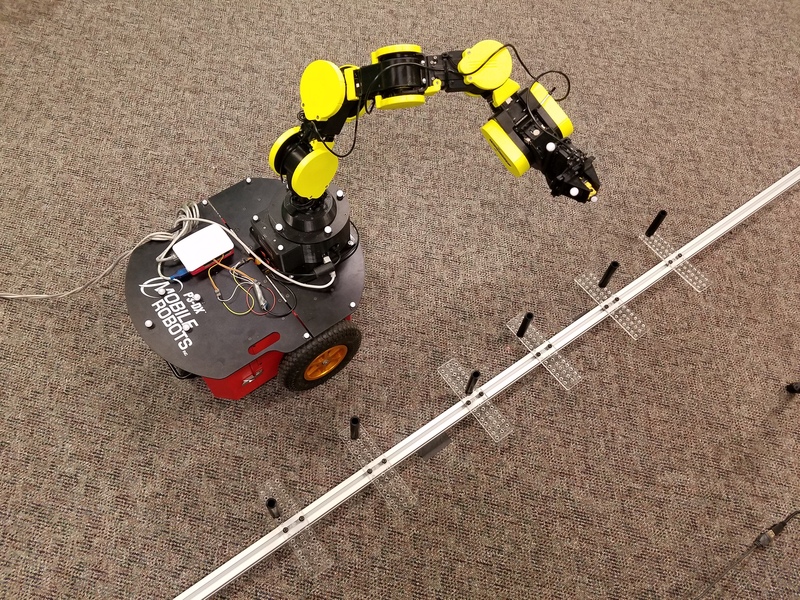 The preliminary evaluation is performed on a proof-of-concept mobile manipulator, consisting of a Pioneer 3DX mobile base and a Cyton Epsilon 1500 manipulator arm. 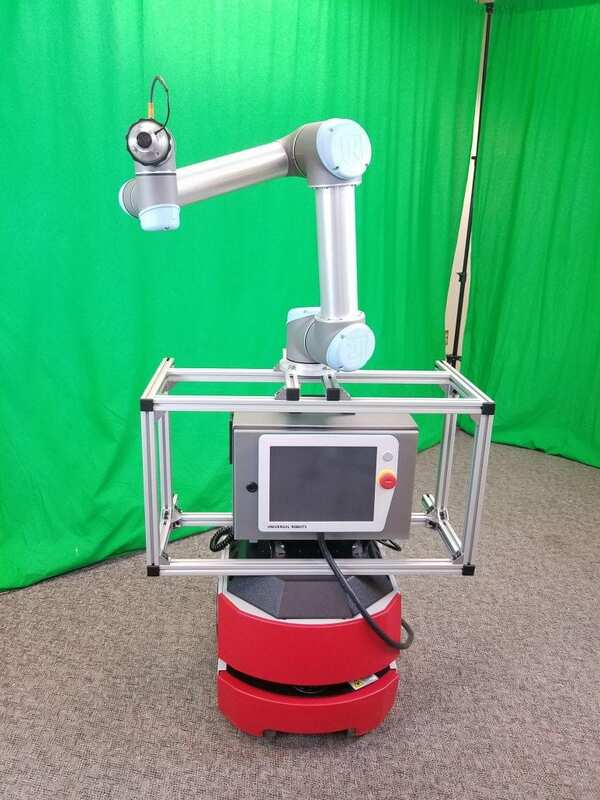 The algorithms are then evaluated for realistic performance, on an industrial mobile manipulator consisting of the Pioneer LX mobile base and the Universal robots UR5 manipulator arm. 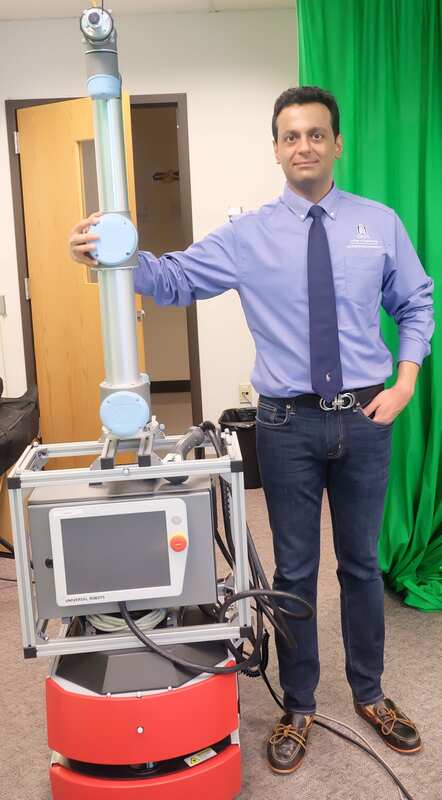 A motion capture system is leveraged in measuring the performance of the robots during experiments. The proof-of-concept platform used for the initial evaluation of the algorithms.